An annoying cough, dry or productive, is a symptom of many respiratory conditions, from a slight cold to flu and chest cold. Coughing fits might keep you up at night while a sore throat and congestion will encumber normal breath during the day. Yet, don’t start swallowing codeine and antihistamine based cough suppressants seeking a relief. Instead, try safer all-natural alternative remedies first. Derived from plants, essential oils contain no harmful chemicals and offer a whole bunch of health benefits. 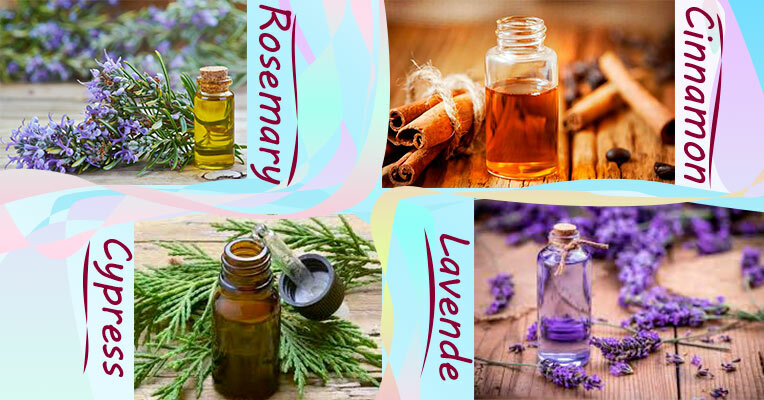 Let’s look into the best essential oils for respiratory ailments treatment. In everyday life, essential oils are popular for their magnificent aromas and many of us use them as part of aromatherapy. We add these natural essences into oil or reed diffusers, mix them with water when taking a bath, and even make out of them fragrant homemade beauty products. However, the biggest advantage of essential oils is that they've proved to be extremely effective at relieving various health conditions. 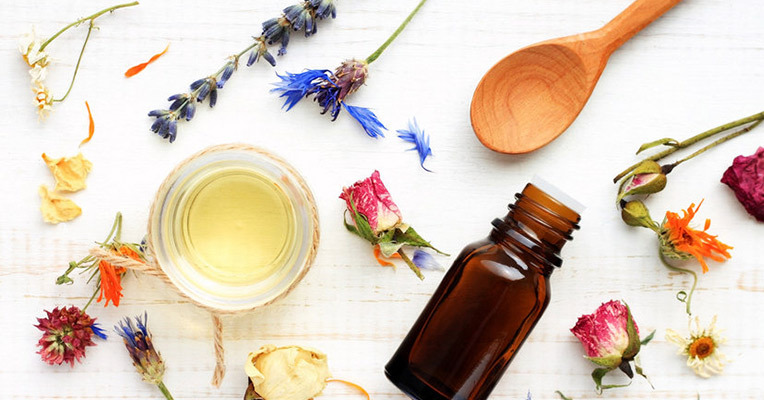 Though, essential oil therapy is regarded as a complementary treatment rather than a medicinal one, health benefits of essential oils are indisputable. Produced by nature, these oils are free from any synthetic components and toxic ingredients. How do many drugs and medicines work? They soothe aching throat, combat inflammation, kill bacteria, and reduce congestion by clearing away the mucus. Yet, all of them have side effects. Certain essential oils can produce the same therapeutic effect and are much less likely to cause adverse reactions. Eucalyptus holds the top spot on the list of oils recommended for respiratory symptoms treatment. Many over the counter nasal and oral sprays, vapours, and chest rubs also contain this oil. And for a good reason. Natural eucalyptus oil includes eucalyptol distinguished by a distinct antimicrobial, antispasmodic, and expectorant effect. Efficiently fighting different kinds of bacteria, viruses, and fungi, eucalyptol or cineole helps your body get rid of those microorganisms that make you feel sick and fatigued. Besides, this compound dilates blood vessels increasing oxygen delivery to your lungs suppressing a chesty cough. 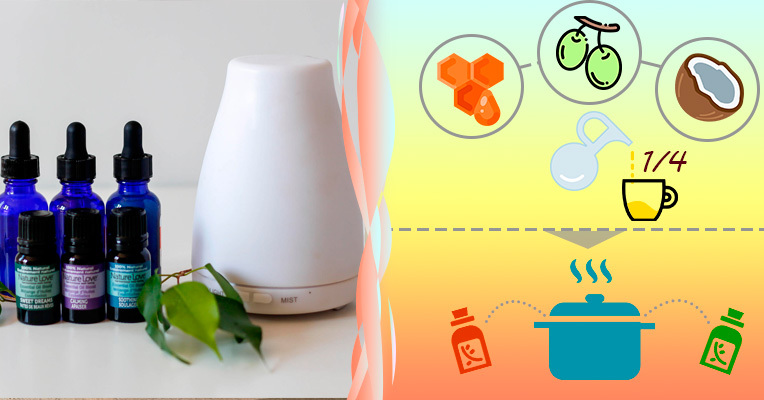 Use the eucalyptus oil in homemade rubs to calm the exhausting nighttime cough, improve the quality of your sleep, and promote recovery or add it to steam inhalers to unclog stuffed nose and breathe easily. Peppermint oil is another top choice for coughs. Containing menthol, it stands out for antimicrobial and antiviral properties. 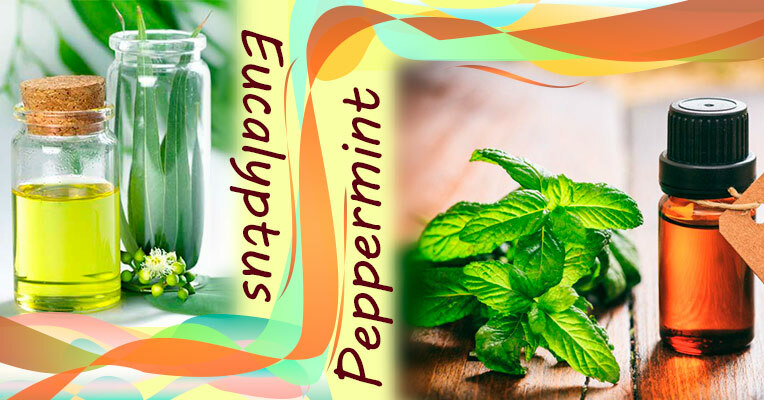 The peppermint extract also produces a cooling effect to chill and relieve your scratchy sore throat. 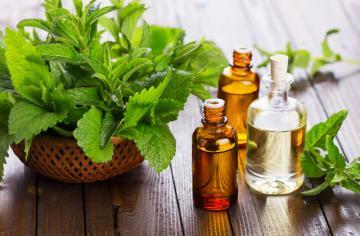 More than that, peppermint oil improves nasal airflow and relaxes bronchial muscles increasing ventilation. It will help reduce a severe cough and restore your ability to breathe normally. Besides, its sweet and refreshing aroma is known for its revitalizing effect. Use peppermint essential oil for inhalations over a special steamer or a hot water bowl or apply several oil drops directly to your chest, neck, and temples to immediately feel a relief. Lemon has long been regarded as an all-in-one cure that improves digestion, lowers the risk of heart strokes, balances blood pressure, helps prevent cancer and asthma, and promotes weight loss. Besides, lemon juice stimulates the immune system minimizing the risk to catch flu during a cold season. And so does the lemon essential oil. Thanks to its excellent antioxidant, antibacterial, and anti-inflammatory qualities, lemon oil boosts your immunity and helps your body overcome cold and cough more quickly. Besides, it is highly efficient in reducing swollen glands, body pains, and fever, and owing to its energizing effect, it will make you feel better even if you have not fully recovered yet. Since lemon essential oil is contained in peels, you can drink tea with lemon slices and honey or cook with lemon peels. Lemon essential oil is also a perfect disinfectant. Hence, use it for diffusers, evaporators, or DIY cleaning products to eliminate bacteria and toxins in your home. The tea tree oil is extracted from the leaves of Melaleuca alternifolia, a small tree originating from Australia. Though called a tea tree, it has nothing in common with ordinary tea leaves. Distinguished by unmatched anti-inflammatory qualities, the tea tree oil is an ideal natural healer. The oil contains terpinen-4-ol, along with a number of other compounds that efficiently fight some bacteria, viruses, and fungi, meanwhile activating your own white blood cells to get rid of unwanted “invaders”. For centuries, tea tree oil was used by aborigines in their traditional medicine. Today, it is extremely popular among cosmetologists and beauty experts for its unmatched benefits for the skin, hair, and nails health. In medicine, this amazing oil is widely used as a perfect antiseptic and disinfectant. 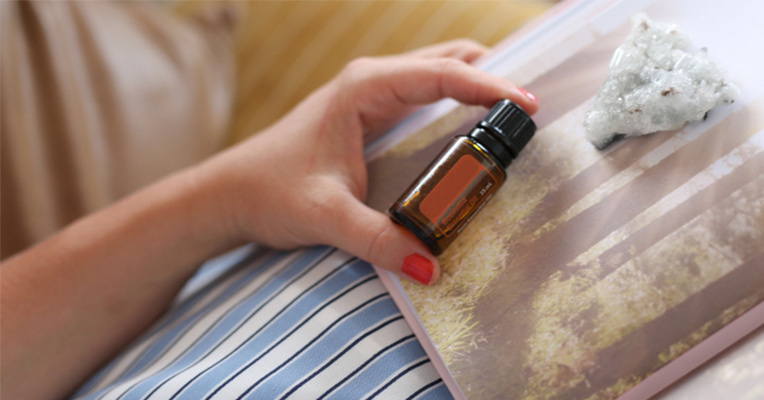 To treat coughs and colds, scent your home with this oil or simply inhale it directly from the bottle. Just remember that tea tree oil is meant only for external use. Often use rosemary herb when grilling meat or making salads and have never thought it can help with a cough? It really can. Just like eucalyptus, rosemary oil contains cineole. This oil works best for inflammation reduction and mucus removal. Cinnamon is rather associated with cooking and bakery than medicine. It smells delicious and evokes the images of soft and mouth-melting cinnamon buns and rolls. The oil prevents bacteria reproduction and combats respiratory tract pathogens, thus, relieving a sore throat and breaking phlegm. Cypress trees are one of the oldest tree types on the planet. Cypress oil contains camphene which is an all-natural anti-toxic, antispasmodic, and anti-inflammatory compound. It reduces congestion, relieves muscle spasms, and removes toxins from tissues to help your body overcome infection. Lavender not only produces gorgeous aromas but also looks amazing. Its small bright lilac flowers are a staple of French province and become a perfect decor for any interior. 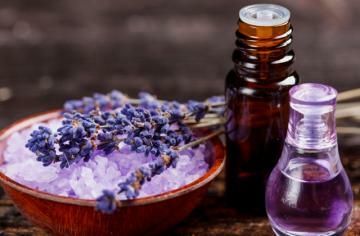 The lavender essential oil is by far the most popular in aromatherapy. Lavender has a distinctive strong aroma with camphoraceous scent and delicate floral sub-notes. Lavender oil stands out for its relaxation and soothing effect. It reduces anxiety and improves sleep. When treating colds, lavender oil helps alleviate breathing problems caused by sinuses congestion and cough. It expedites mucus removal from lungs and bronchi and even inhibits airway resistance at asthma sufferers. Two ingredients that make this spice herb a great anti-flu and anti-cold remedy are carvacrol and thymol demonstrating intensive antibacterial and antiviral activity. Hence, oregano is helpful for easing dry cough and relieving pain caused by a sore throat. Besides, oregano oil is one of the essential oils that can be taken internally. Hence, in the case of a persistent cough, place a few drops of oregano oil under your tongue to immediately alleviate the symptoms. 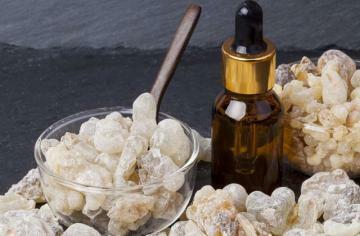 Frankincense essential oil health benefits are truly impressive and cannot be underestimated. This oil is extracted from Boswellia tree resin and is a popular ingredient in beauty products. 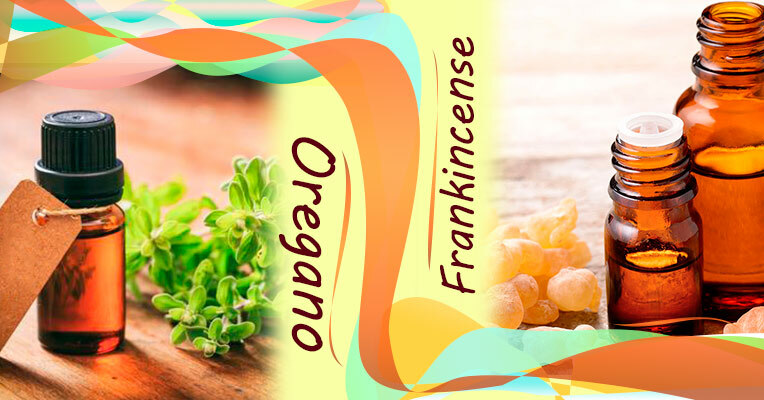 Owing to a number of acetates contained in frankincense essential oil exhibits powerful antiseptic, disinfectant, sedative, and expectorant properties. It stimulates the immune system, inhibits infections, soothes coughs, relieves congestion in the nasal tract, bronchi, larynx, pharynx, and lungs. On top of that, it helps relax breath and even reduce asthma-related breathing problems. Apply the oil directly to the skin of your chest, neck, and temples. Take several drops of oil and gently rub it into your skin to let in vaporize. Just remember that all essential oils in pure form are potent and it’s recommended to avoid using them undiluted when applying directly to the skin. 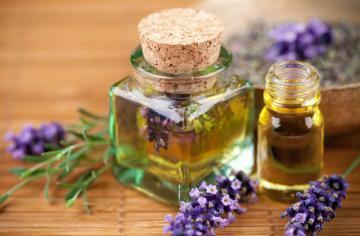 To lower the potency, dilute a few drops of pure essential oil or oil blend in a carrier oil before skin application. Most widely used carrier oils are coconut oil, olive and sunflower oils, grapeseed oil, argan oil, apricot kernel oil and sesame seed oil. Use essential oils for inhalations. Inhalations are one of the best treatment methods when it comes to coughs and colds. There is a whole range of over the counter steam inhalers. Yet, even if you don’t have one, you can simply use a bowl of hot water. Pour several cups of piping hot water into a deep bowl and add 3-4 drops of any cough-relieving oil. Bend your head over the bowl and cover it with a towel. Alternate between deep and normal breaths within 10 minutes. Hot vapour inhalations help manage congestion by breaking down the mucus and clearing the air passages. Make a vapour rub. Pharmacies offer a great number of different cold and cough rubs. 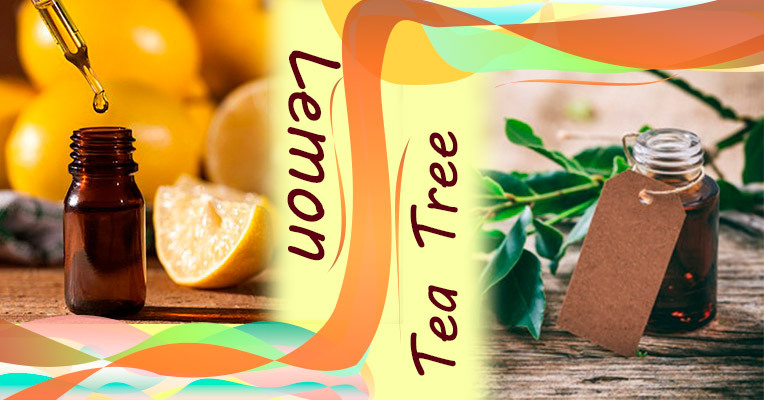 Rubbed into the chest, they bring a nice warm feeling and embrace you with a pleasant aroma that will soothe your irritated throat and calm your cough. To avoid any chemical ingredients contained in over the counter rubs, you can make a DIY rub at home using all-natural ingredients. Pour ¼ cup of olive oil, coconut oil and beeswax into a bowl and place the bowl into a saucepan with a steaming hot water to let the wax and oils melt and combined. Once fully liquefied, let the mix cool a bit and add essential oils of your choice. When the blend is cooled it will turn into a ready-to-use half-solid substance. Aromatic healing. You can add several drops of an essential oil blend into a diffuser or an air humidifier to infuse the air in the room with healing aromas. Or you can use a mere spray bottle filled with a mixture of water and your favorite essential oils. If you mix in some vinegar, this solution can also be applied to surfaces as a disinfectant to prevent bacterial growth. Other than that, you can soak a towel in a warm water with some amount of liquid soap and several drops of essential oils and drape it around your chest or head to make a compress. You can even simply inhale the oils directly from the bottle. Yet, do it moderately to avoid allergic or any other unwanted reactions. The more the better is not the principle that should be followed when using essential oils. Despite their natural origin and considerably lower potential for side effects, essential oils still should be used with caution. Since essential oils are not medicinal products, they are not controlled by FDA and the quality of essential oils from different manufacturers is not the same. Hence, before using certain essential oil for healing a cough, make sure you use a therapeutic grade high-quality oil to save your peace of mind about its safety. In case you have some specific health conditions or chronic diseases, consult your healthcare provider before using any of the essential oils. Be extremely attentive and careful when using essential oils to soothe your kid’s cough. Use smaller doses of oil and diffuse the oils from a distance, especially so when using eucalyptus, peppermint, rosemary, oregano, lemon, and tea tree oils. Do not apply essential oils directly to the child's skin. If you are pregnant or breastfeeding, speak to your doctor first. Refrain from the use of cinnamon, cypress, eucalyptus, clary sage, geranium, lemongrass, thyme, oregano, melissa, and tea tree oils when treating colds. Meanwhile, such essences as lavender, frankincense, sandalwood, ginger, and lemon oils can be safely used by pregnant women and young moms. 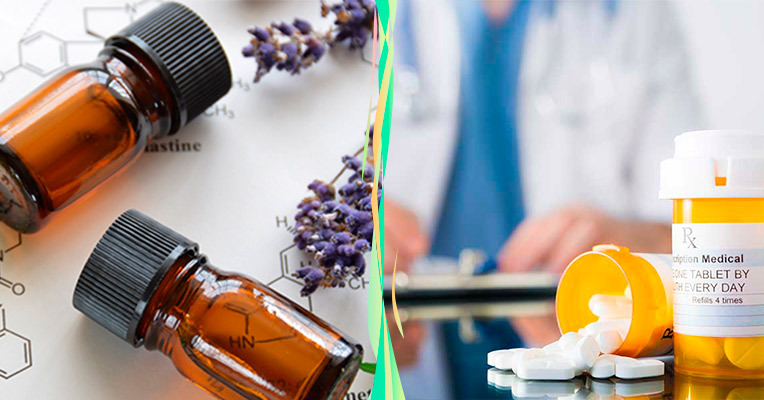 In case you have a severe or a long-lasting cough, essential oil therapy will hardly bring you the desired effect. Yet, such conditions should not be left unattended since they can be symptoms of more serious respiratory diseases such as tuberculosis, bronchial asthma, or pneumonia. Thus, if you have shortness of breath, observe blood when coughing, have a low fever lasting over a week, or notice that you dramatically lose weight, all these symptoms along with a dry or a productive cough are warning signs which indicate a problem requiring a special attention. Essential oils are a great healing tool that can help you ease your cough and treat slight colds even without using medicines or make a perfect complement to any traditional medical therapy. 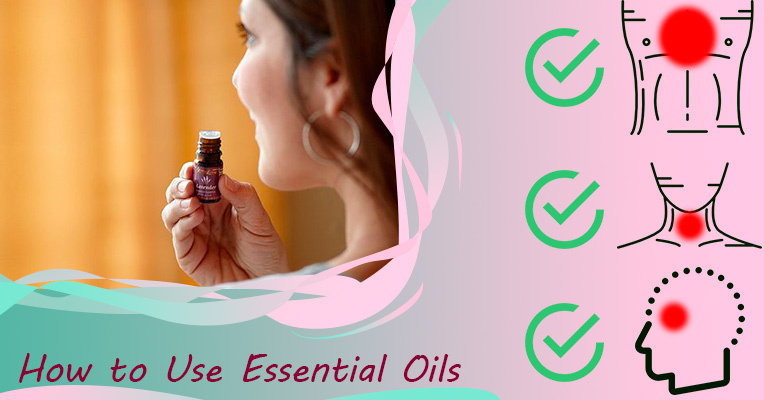 When essential oils are used as directed and with due caution, risks related to their use are minimal and you’ll be able not only to ease a cough but also to speed up overall recovery.